In Faisalabad, 20 students, from elementary to university, celebrate for having successfully passed the entrance exams. Local priest invites young people to “strive for a better future” and promote fundraising for the poor. Thanks expressed to missionaries, precursors in the work of schooling. 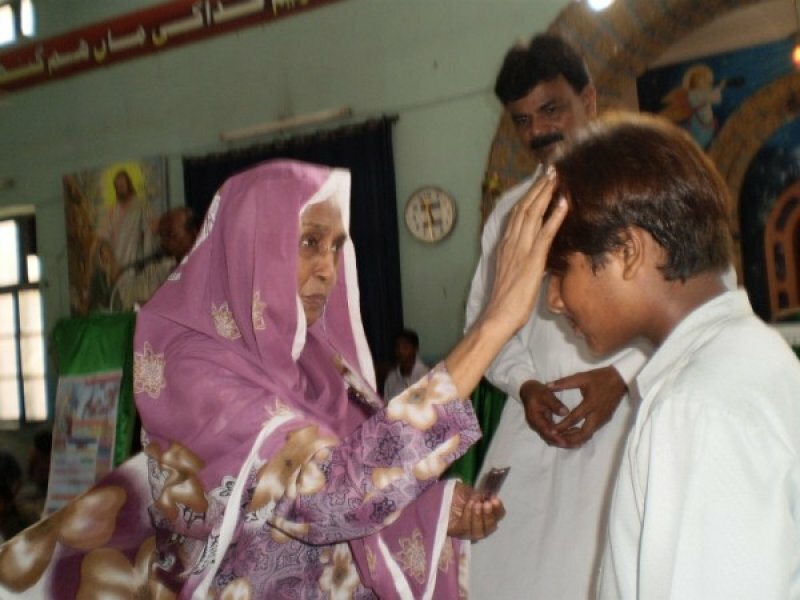 Faisalabad (AsiaNews) - The school is a determining factor for the Christian community in Pakistan, through which it "can compete" at all levels of society and "aspire to a better future." This was the message of Father Bashir Francis - pastor of the Church of the Holy Rosary of Madina, a residential district of Faisalabad – to a group of students before giving them a small gift as a token of "appreciation" for their efforts in their studies. Each year, the local parish church celebrates a Mass dedicated to students who pass the exams for admission - from primary school to university masters, without distinction - and are preparing to begin the school year. Following the publication of the results, Sunday 30 August, the Christian community celebrated a group of 20 young people who have successfully passed the tests. "From the beginning - Father Francis recalled in his homily - the Church has wanted to promote the education sector as a way to ensure greater competitiveness within society, although we are only a minority." The priest recalled the work of the missionaries, who "have opened schools and boarding schools, dedicated to help needy students in their formation." A commitment that continues today, with "economic aid to poor students, who are unable to pay fees." In the past the Church's work was supported by Father Ayub Francis, a missionary in the U.S., who thanks to a benefactor friend collected money for the students. Last year, the man died and as a result this valuable economic resource is no more. To help poor students, the local Society of St. Vincent de Paul has intervened, along with some families of the parish, to start fundraising. "Families should not only pay their children’s fees - concluded father Francis Bashir - but must also follow their educational path and their journey of faith." Sahifiq Ullah, president of the local branch of the Society of St. Vincent de Paul, emphasizes the "happiness we feel when our students get good results for exams”. Reiterating the "commitment to prayer" for "their good and their future," he hopes that the "students can aim for higher positions" - "The pen is stronger than the sword - Sahifiq Ullah reminded them - continue to study with zeal”.